Anyone can make a referral on your behalf: a family doctor, friend, family member, even you, yourself. If you think that you or someone you care about may benefit from our services, we encourage you to get in touch with us. The first step is to call our main phone number 1-888-447-4468. If your health-care provider has already made the referral for you, you can expect a phone call from us once the referral has been processed. 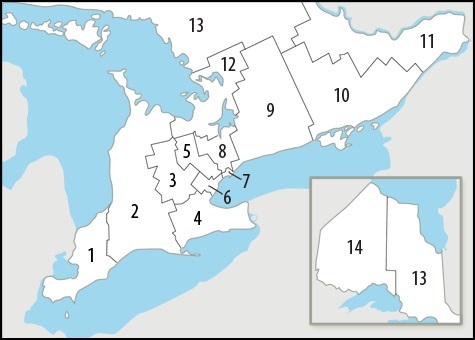 Health Quality Ontario (HQO) publicly reports provincially by region about the five-day wait time measures on a quarterly basis. HQO's reports show the percentage of people who receive home care within five days of the service being confirmed by the Care Coordinator for each LHIN. ​To learn more about Health Quality Ontario (HQO) home care reporting and to see reports for each LHIN visit HQO home care reporting. Our staff is trained to assess your individual care needs. Just like in a hospital emergency room, those with the highest and most complex care needs will receive services first or will be prioritized for services. If you are assessed to have low to moderate care needs, you will have to wait for services to start by being on a wait list. Some people assessed with lower needs may be connected with other resources in the community.